Rejoice! 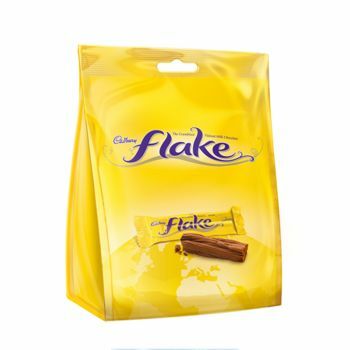 Cadbury Flake, with its top-secret production process creating a delicate, crumbly texture unrivalled by any other chocolate bar, is now available in a convenient 170g snacking bag format that is exclusive to travel. Contains 11 individually wrapped miniatures - perfectly sized tiny treats to suit all your snacking needs.